Unfortunately, there are no refunds in case you are unable to participate for any reason. We are a non-profit and the proceeds will go to a great cause! We know things happen and sometimes they don't always work out as planned. We allow participants can defer their registration up to 60 days before race weekend. Deferral deadline is midnight on September 21, 2018. No refund will be given. Please read carefully before registering for any event. To produce a world class marathon, the Williams Route 66 Marathon must coordinate our efforts and plan well in advance, making it difficult and costly to make changes after registration. Medals, bibs, shirts and other items are ordered months before the race and purchased according to the original information provided during registration. Many items are personalized to the individual and the race. As a result, and similar to other races in the industry, the Williams Route 66 Marathon does not offer refunds of registration fees for any reason. In addition, certain release forms and emergency content are specific to the individual participant. Transferring such information would be a liability to the participant and the marathon. This policy applies to individuals with injuries, unexpected business, family emergencies, etc. 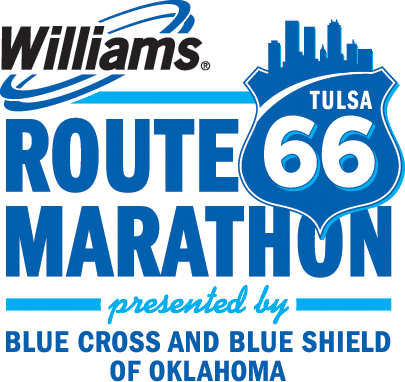 The Williams Route 66 Marathon does not offer refunds, or transfers to other participants, with no exceptions. The Williams Route 66 Marathon is expected to sell out. The Williams Route 66 Marathon does not offer refunds for any reason. We are a non-profit and the proceeds will go to a great cause! Participants may change their race to any race that is not sold out up to 60 days prior to their race for a fee of $15 plus the price difference between what they originally paid and the current price of the race they are transferring to. Participants may defer their registration to the next calendar year up to 60 days prior to their race for a fee of $15. Anyone caught attempting to purchase another participants entry or participating using another participants entry will be removed from the course, disqualified and banned from participating in the Route 66 Marathon for two years. Anyone caught attempting to sell or selling your registration will result in an immediate disqualification and ban from participating in the Route 66 Marathon for two years. Due to USATF rules and regulations, each participant must register themselves and sign their own waiver. Any walker or runner who is participating with another participant’s bib number will have their results disqualified at the discretion of the race director. All participants must pickup their packets at the Williams Route 66 Marathon Health, Fitness and Sustainability Expo. Race day packet pickup is not available. Packets cannot be mailed to participants. Participants unable to participate or get to packet pickup can pick up their packet or have someone else pick up their packet for them. Their representative must show a signed copy of the participant's registration confirmation to pick up the packet.